So there we have it. The opening match of the ICC Champions Trophy is done and dusted. We were treated to a large, vocal, joyful crowd, more than 600 runs and another Joe Root masterclass. I will leave you with the winning moment, but remember there are highlights of the match on BBC Two this evening at 23:20 BST. Put a reminder in your planner! We are back tomorrow with ball-by-ball text and TMS radio coverage of Australia v New Zealand. Man of the match Joe Root at the post-match presentation: "We are a side that are getting better at it (chasing 300-plus scores). We have a lot of confidence and back each other’s ability. "It rubs off on everyone. It is nice knowing that you have guys like Ben Stokes and Jos Buttler coming in after you." Asked if there was a time he thought England would not chase down the score, Root said: “No. Knowing what we had to come, and making sure we had wickets in hand at the back end. Alex Hales isn’t going to score slowly. We knew if one of the top four were not out we would be in a good position. "We are just thrilled to bits to get off to a good start." Asked about his injury, Root said: “The ankle is OK it is more of a calf issue. Hopefully it is more cramp and me being a bit wet." Bangladesh captain Mashrafe Mortaza: "On this wicket we were a little bit short. In the middle patches we couldn't get any wickets and Root and Morgan took the game away from us. "At the end of our innings with six or seven wickets in hand we could have been a lot better. "We need more variety in our attack. We will think about playing an extra bowler. "The third umpire knows better than us [with the disputed catch]. His decision was final." A quick recap of the Bangladesh innings, they certainly played their part in this match and after the first half, the match was in the balance. Opener Tamim Iqbal caused trouble for the hosts on his way to scoring 128 runs before being dismissed by Liam Plunkett. Plunkett meanwhile, was the pick of the English bowlers with four wickets for 59 from his 10. Jake Ball had a day to forget, going for 82 from his 10, with just the one wicket. England captain Eoin Morgan: "When the guys bat like that it is a lot easier than it used to be. When you have Joe Root in your side and an in-form Alex Hales, that is a huge factor. They struck the ball really well. "Joe (Root) is the glue in our side. He has scored a lot of runs in the last couple of years and continues to do it. He is not slow. He is batting at pace. He has been working on his power hitting and today it worked." 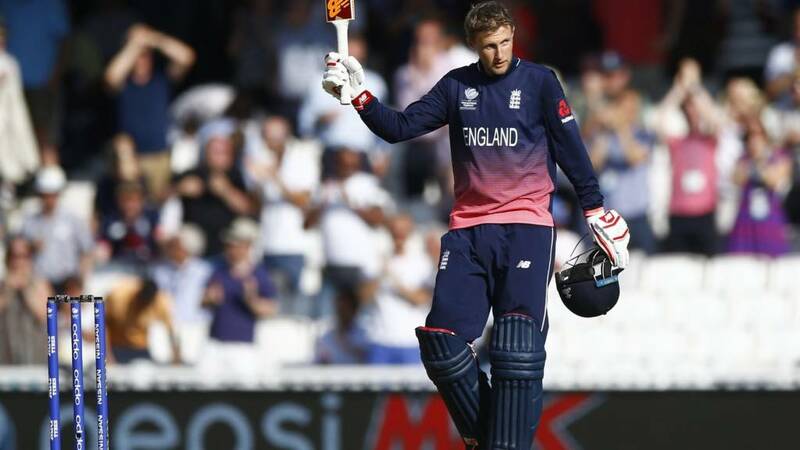 But the day belonged to Joe Root who batted superbly as he went on to score his highest ever ODI score ever. There was a slight scare in the middle of his innings when he seemed to have twisted an ankle. But he was a trooper, seeing it out right to the end. Jason Roy will be hurting, he knows that he messed up and he knows that the media and everyone else will be saying that there's a very good player in Jonny Bairstow on the bench. England captain Eoin Morgan on TMS: "I thought Jason Roy was terribly unlucky today. Those things happen when you can't seem to score runs but we back him - he's been brilliant for us. "Potentially Chris Woakes is a worry for the rest of the tournament. We have to wait and see. Ben Stokes has bowled seven overs which we thought was a stretch for him but he hasn't felt his knee all day." Ben Stokes may not have been asked to bowl seven overs today, had Chris Woakes not gone off injured with a side strain earlier on in the day. Stokes himself was recovering from a knee injury. Stokes picked up one wicket at six runs an over. But not short of controversy, he was also involved with the action in other ways - here he is having a barney with Tamim Iqbal. Having lost their second wicket, England needed someone to steady the ship. And who better than Eoin Morgan. He scored 75 today from 61 balls. He put his foot on the pedal later on in the innings to see his side home. So a solid run-chase from England. They lost Jason Roy earlier on but fellow opener Alex Hales played with a combination of patience and intent. He fell just short of his century when trying to go big. Whatever you throw at Joe Root, he proves that he can do it. People say he isn't a power hitter or whatever but he hits sixes. He has mastered Test cricket, 50-over and 20-20 cricket. Whenever England need him he scores runs. He plays safe shots and scores at a run a ball. That is all you can ask. I don't see his injury being a problem at all. The real concern is Chris Woakes. England put in a perfect chase. The way they went about it was very, very good. Joe Root just gets better and better and I was impressed by captain Eoin Morgan. He knew when to step on the accelerator. When they needed 60-odd he hit 16 in one over and that put the result beyond any doubt. Root gets his highest ever score and sees England through to a comfortable opening win at the ICC Champions Trophy 2017. He was never catching that! He never fancied it. He was two yards short. There were a few players pulling their caps over their eyes there, they weren't interested. Oh Bangladesh, I think they really have given up now. Root skies one straight in the air and Mustafizur makes a very poor attempt at running in to grab it. Terrible fielding. But with that run Root's equals his highest ever ODI score! Root flashes at one outside off and it goes crashing through to the boundary. 10 from 21 needed. Nearly there. That's right, Joe Root hits a six! His first of the match is dispatched to long on off Rubel Hossain's bowling.